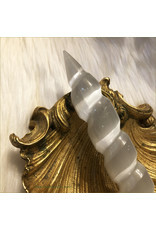 Selenite 8" Polished Double Terminated Unicorn Wand ~Cleanse Your Aura! 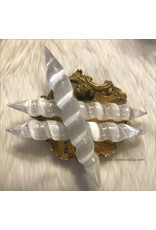 Ah, Selenite! A must for any healer’s kit! 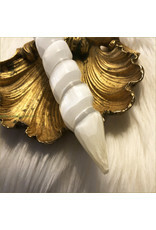 Use it to clear your Chakras of blockages and heal your physical body. 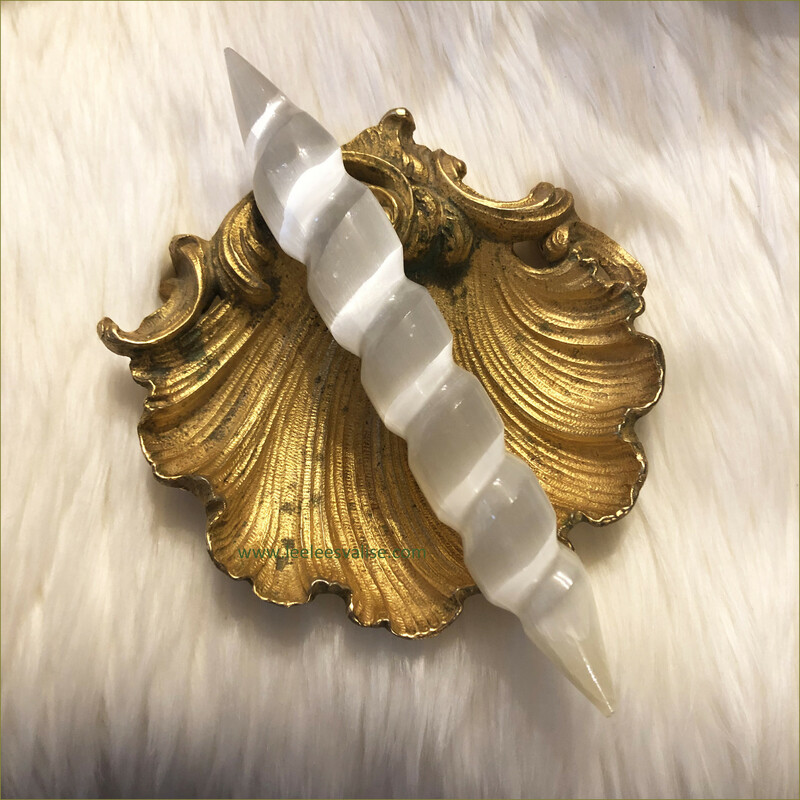 It balances your relationship with the Universe, assists you in connecting with other people and all of life. It lets you consciously understand your own Truth, the part of yourself which is pure spirit, helping you to work with your purpose for being in this physical existence. 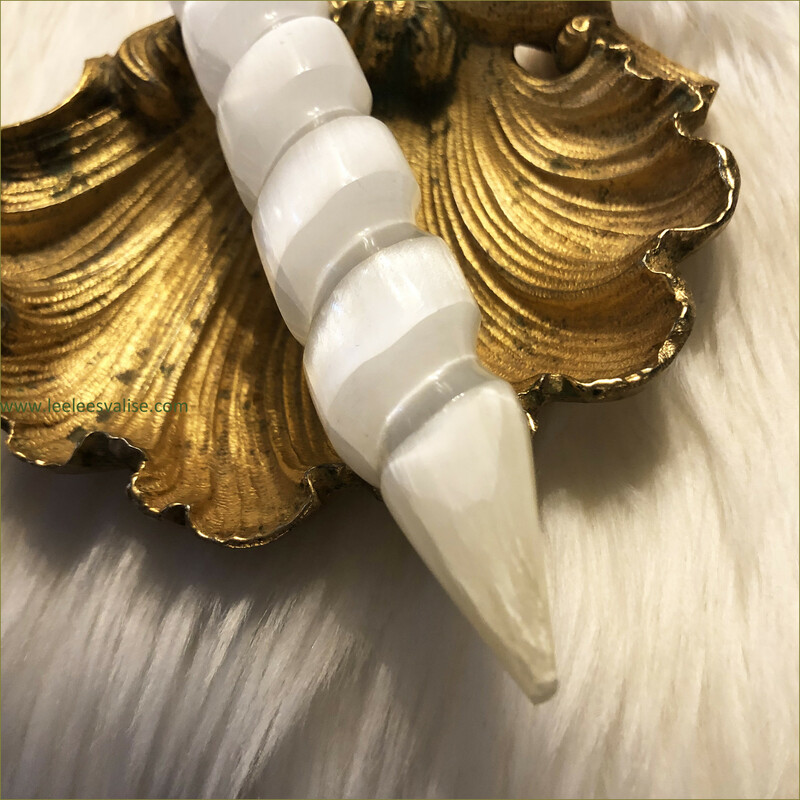 Because of its ability to help you filter out ego-based messages and thoughts, it is an excellent crystal for meditation. 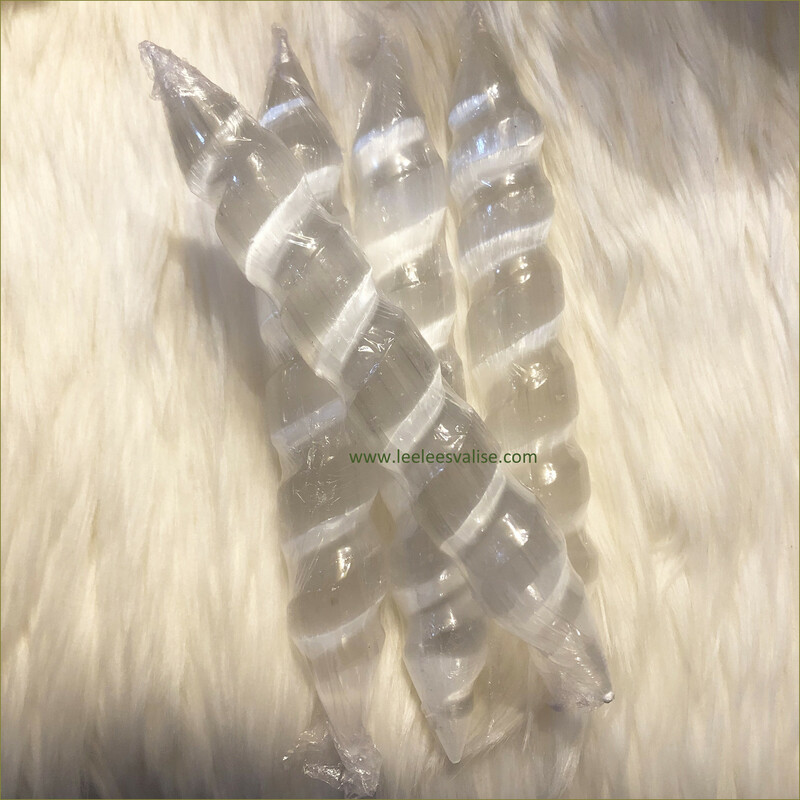 Selenite is a stone of mental clarity, enhancing mental flexibility, strengthening decisions, and also helping to clear up mental confusion. 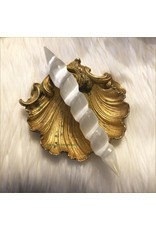 With it you can access past lives to better understand your present physical issues. 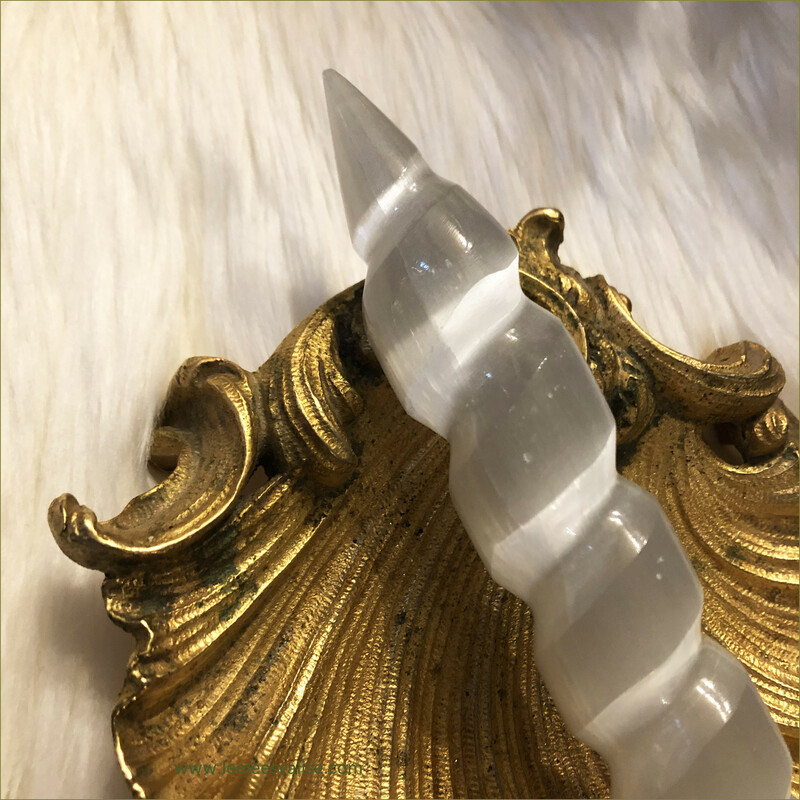 It provides both flexibility and resolve, assisting in gaining material acquisitions, making Selenite is a great stone to keep in your work space. It also promotes good business practices. 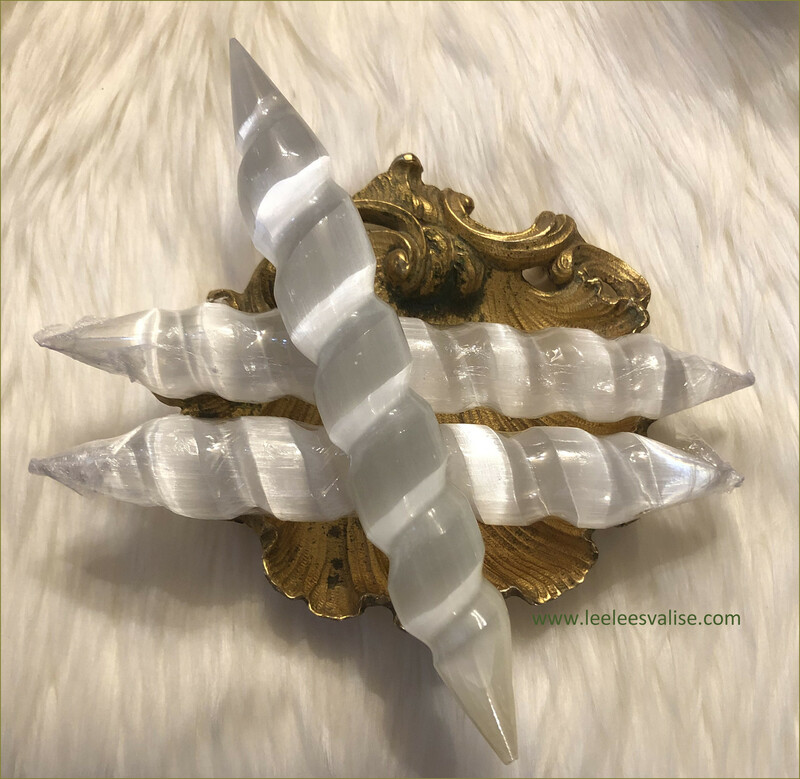 Physically, Selenite works to remove energy blocks from your physical and etheric bodies. It also aligns your spine, is good for the skeleton, and decreases epilepsy and seizures. 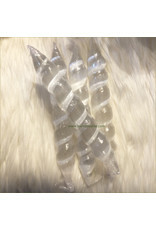 It also has the ability to clear other stones that are placed on or near it.